A significant body of research shows that achievement gaps in persistently low-performing schools manifest, in many instances, prior to children entering kindergarten. High-quality preschool programs have proven to help close these gaps both for individual student subgroups in a school and for the school as a whole. 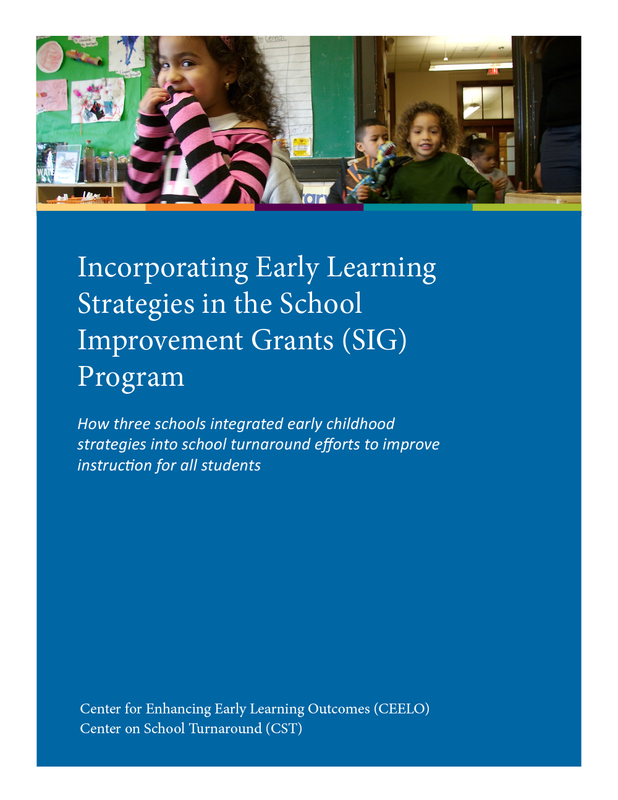 This resource focuses on case studies of three schools that have used School Improvement Grant (SIG) funds, with the support of their districts, to implement early learning strategies as part of their turnaround models. The practices described in this publication are from elementary schools in Massachusetts, Missouri, and Nebraska. Data were gathered through school data reviews and interviews with school, district, and state leaders from both early learning and school improvement offices. This resource was produced by the Center on School Turnaround at WestEd and the Center on Enhancing Early Learning Outcomes. 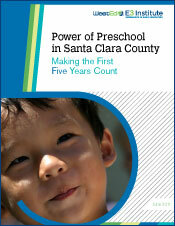 This report tells the story of the first five years of the Power of Preschool (PoP) program in Santa Clara County, California. Since 2006, PoP has expanded and improved early education and care in the county's most underserved communities where children and families live with exposure to multiple risk factors. This publication is designed to provide early childhood educators with the most current research on the development of young dual language learners.